The Cinnamon rabbit is a breed of domesticated rabbit that was created in 1962. Its russet color fur characterizes the breed, giving the rabbit its “cinnamon” title. The breed’s amiable nature makes it ideal for pet owners. However, because the Cinnamon is a relatively new breed which makes it moderately hard to find; therefore, searching to obtain one is to be expected. 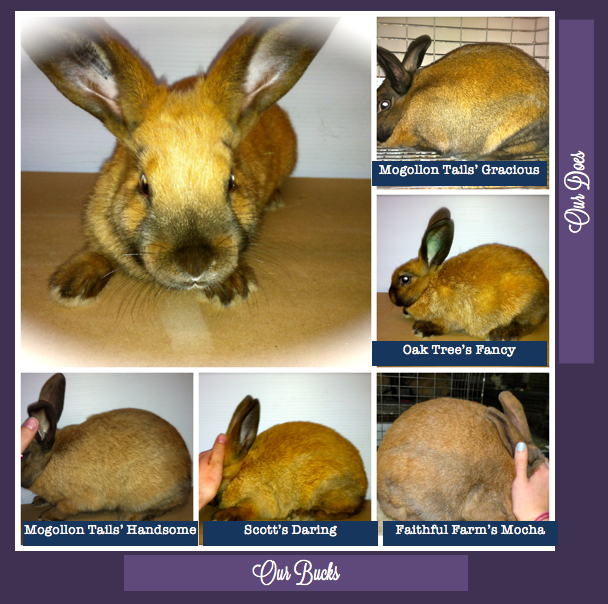 Cinnamons are on the Rare Breed Rabbits List, ranked at #3 in 2010. Thank you to those who started our foundation herd: Daybreak Rabbitry, Oak Tree Rabbitry, Mogollon Tails, and Faithful Farm, all of which are distinguished on the show table. Can’t wait to see how our Cinnamons add “spice” to our life! Hi, We are a 4H family looking for Cinnamons. My two children would really like to raise them for their local fair this year and we are having a lot of trouble finding them! We live in Corning, Ca, which is about two hours north of Sacramento. We were wondering if you are thinking of going to the ARBA Show in Red Bluff, Ca on December 14th. We would love to get a doe and buck that could be bred together. If you are not, do you know of any other breeders in Northern Ca? We looked last year but were unable to locate any cinnamons. Any help would be greatly appreciated! Thanks. Stef. Oh! I wish we could help you! Right now I don’t think we’ll have any Cinnamons available until maybe March 2014. Thanks for your contact – I don’t know personally of any Cinnamon breeders in Texas. You could contact the Cinnamon Rabbit Breeders Association and see if they have any club members in your area!